One of the most resilient .22LR caliber designs has to be the AR-7 originally designed by famed M16 designer Eugene Stoner. The interesting story is as Armalite was being formed by Lockhead and Fairchild their first actual developed and released firearm was the AR-5/MA-1. 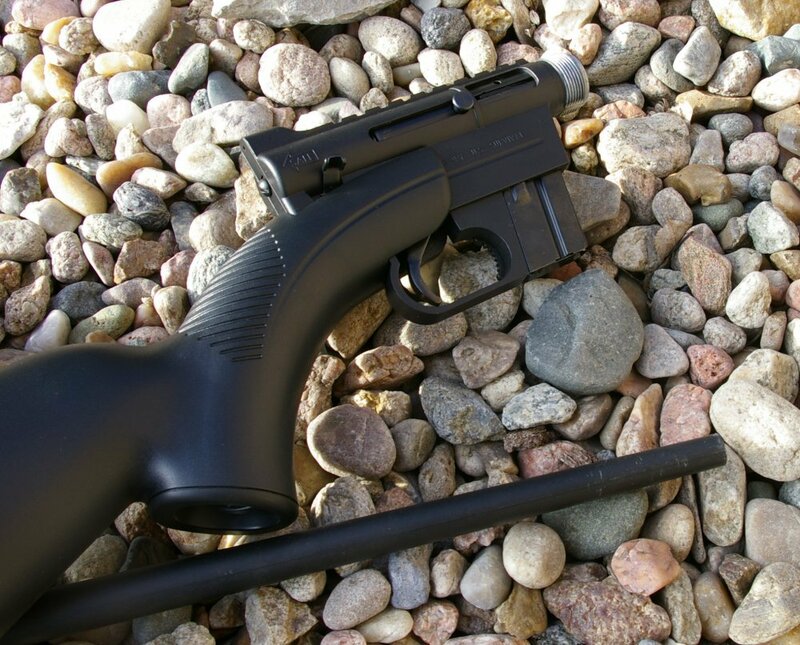 This was a bolt action 4-shot .22 Hornet survival rifle for the US military and was the immediate bolt action precursor the AR-7. It was an odd looking design where the barrel and action could be fully and compactly stored in the high tech stock which would float, a handy features if you were a pilot downed in water. The AR-5 and AR-7 are of the same design with the exception of the semi-auto action and .22LR caliber changes. To that date the massive plastic stock and aluminum receiver on the AR-5 was one of the most significant uses of plastics and aluminum on any gun... it was a groundbreaking innovation like none other. As Armalite submitted the design to the military, they realized through the development of the AR-5 that polymers, plastics, and light weight allows were the new future in firearms. That spark of innovation started by a goofy looking little rifle lead to the first AR10 prototypes a year later in 1955-1956 and then later AR15 series of rifles using new space age polymers and light weight alloys. Yes, the AR-5 and AR-7 spawned the AR15 and the plastic gun revolution. Meanwhile, the AR-5 was a hit and civilians were screaming for a similar handy little take down survival rifle. Armalite responded and developed the .22 caliber semi-automatic AR-7 design in 1959 we see today. The AR-7 still is and was designed first and foremost as a ultra-light packable survival rifle with features unlike any other rifle. 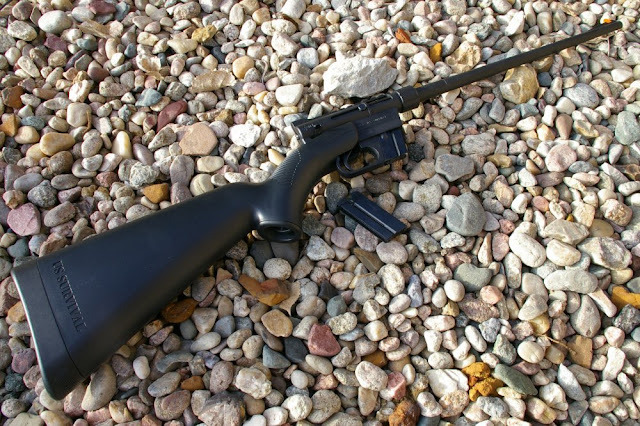 ArmaLite produced the AR-7 from 1959-1973 at which point Charter Arms purchased the rights and took over AR-7 manufacturing from 1973-1990. At this point problems started for our little handy AR-7 as it was kicked around from manufacturer to manufacturer. 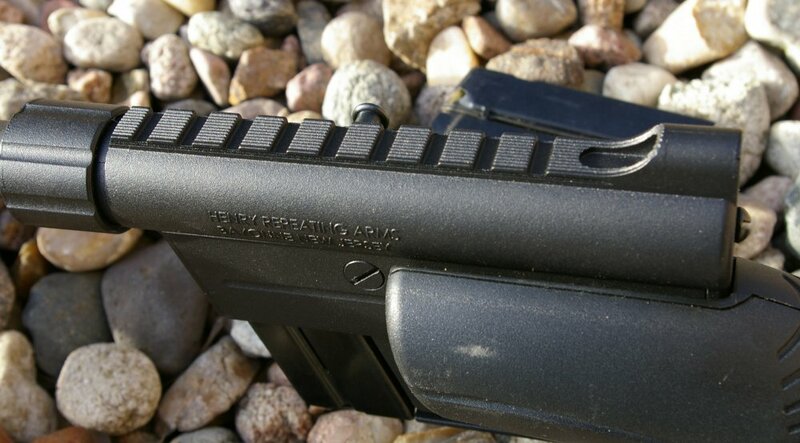 Most consider the Charter Arms ownership of the AR-7 brand the dark period. It was never an expensive or exceptionally reliable rifle, however it went from good quality at Armalite to cheaper manufacturing at Charter Arms and was riddled with reliability and quality issues. As a kid, a friend of mine had a Charter Arms Pistol and it jammed every other round and provided woeful reliability. It was cool as hell though when it did work. To say Charter Arms damaged the AR-7 reputation was an understatement. The 1990-1997 Survival Arms ownership neither restored or improved the reputation and quality of the AR-7. Survival Arms did attempt to focus on just the quintessential AR-7 rifle and nixed the whole AR-7 pistol idea Charter Arms had launched. Like the Henry Repeating Arms brand, the AR-7 was rescued by Mr. Anthony Imperato and his family owned firearms business. Henry reworked the design to increase reliability and further update the rifle with today’s manufacturing and high tech materials. The base of the original design exists and many older parts are still interchangeable however the rifle has undergone a fairly significant barrel and stock upgrade under Henry Repeating. The re-risen Henry Repeating Arms, now famous for the stunning impeccably high quality Henry rifles everyone lusts after, have tackled the task of resurrecting the original idea and reliability of the ultra-light packable inexpensive AR-7 survival rifle. What’s the point of a $200 2.5lb gun with a plastic stock, plastic steel lined barrel with a checkered past? The AR-7 was purpose designed as a extremely light weight compact take down survival rifle, not as heirloom rifle, a brute of durability, a showpiece, or a target gun. If you purchase the gun as one of the lightest .22 you will ever handle, a fun hunting, plinking, and survival rifle to always be in your pack, you will be pleased with the rifle and it will perform that task admirably. If you think a $200 light weight take-down gun will match the accuracy, durability, and any ammo reliability of your $700 Golden Boy or $400 Ruger 10/22, you are both missing the entire point of the rifle and a hopeless optimist. The bare bones Henry AR-7 obviously can, but probably will not, take the place of a full-sized & full-featured rifle. It simply lacks the features and refinements a more expensive rifle provides. Where the AR-7 exceeds is when going for a day hike in the middle of nowhere or having a rifle packed in you trunk, boat, or pack in case you get bored, scared, or hungry wherever you end up. The Henry U.S. Survival AR-7 is a far better option than lugging a 5-7lb rifle for just in case. As some folks frown on you brandishing a rifle or pistol on hikes, on boats or other publicly populated areas, the Henry AR-7 is a more socially acceptable firearm. 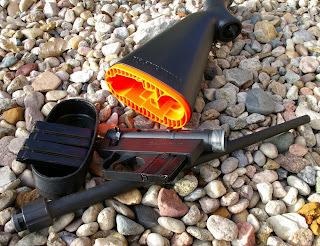 The AR-7 is also unique in that it is considered legally stowed, cased and disassembled when everything is packed into the stock. It is far easier to explain an Henry AR-7 survival rifle for “just in case”, vs why you are carrying a regular rifle. Then of course the feathery 2.5lb won’t make it feel like you added a lead ingot to your pack. Many might argue, why not pack a pistol instead. Frankly if you are cold, lost, and staring, I can guaranteed you will be a better shot with a bare bones rifle than with a expensive pistol and some places have extra restrictions on handguns vs rifles. The fit is a substantial step up from the the old Charter Arms and Survival Arms versions. The Teflon coating is nicely consistent throughout and it would seem Henry took a little more care in re-creating the dies for the receiver. 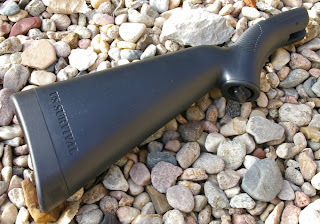 The newly updated Henry US Survival stock is a big step up from the old versions from a style, fit and finish perspective. The old version was a cheap rifle, but also felt and fit together really cheaply. Today the new Henry U.S. Survival AR-7 feels much more solid and well made considering its price and intent. This rifle is a feathery 2.5lbs. and is without a doubt the lightest .22LR rifle I have ever shot. Despite its durability and the chunky nature of the stock, the AR-7 feels delicate due to the weight. We are all used to swinging around 6-8lb rifles and the AR-7 feels like a super-soaker. The balance is very good once the AR-7 is assembled and the right sided offset on the stock to receiver mounting (which allows room in the stock for the barrel) looks odd but is ergonomically fine. The Henry U.S. AR-7 stock design carries throughout the original AR-7 intent plus a number of new updates that modernizes the rifle. 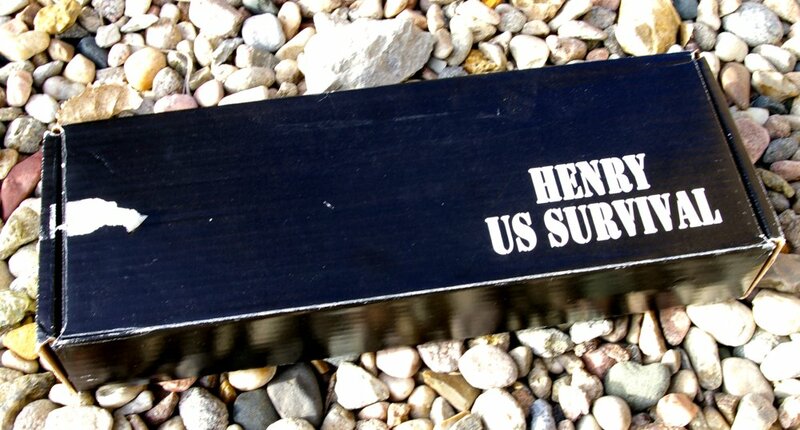 The Henry US Survival AR-7 comes with two 8-shot magazines, but I would suggest picking up a few more from Henry as I did (a word of caution non-Henry Magazines may not perform well). The AR-7 has a new more modern stock design that more securely holds the barrel, receiver, and magazines when disassembled and now holds up to three loaded magazines, two in the stock plus one left in the receiver via the new safety orange stock insert. Parts still do rattle around in there slightly, however you do still have room to stow a pocket knife and some fire starting extras under the stock pad/cover to dampen the rattle. One nit pick is that like the previous designs, the Henry AR-7 does not have a last shot bolt hold open, so expect to hear the click and no bang exercise where the 9th round should be. 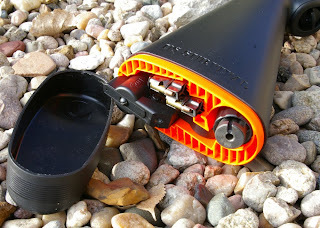 The barrel is an ABS plastic steel lined barrel coated in Teflon for complete protection from the elements. This is not a new idea in barrels, Ramline and Desert Eagle both had 22 pistols with ABS barrels and they worked phenomenally... I had the Desert Eagle model. 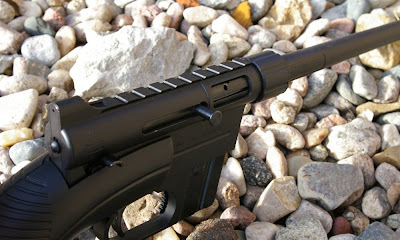 Today steel lined polymer, carbon fiber and aluminum barrels are not prolific, but available as a barrel option and provides a huge weight reduction for a rifle design such as the AR-7. Eugene Stoner would be proud of this barrel innovation and use on the Henry AR-7. The aluminum receiver is also coated with Teflon as well to assure complete corrosion resistance. The barrel keys into the receiver and hand tightens firmly in place with the barrel nut easily. The internals are made from stamped steel and... well pretty much left that way. The trigger feel is regrettably long, heavy, and not so great which affects accuracy. The trigger is the primary reason why you would not want the AR-7 as your primary gun. After testing I began tweaking and completed a simple "polish the parts" trigger job on the AR-7 which greatly improved both the feel and accuracy. I will do a how to Henry AR-7 Trigger job in a future article. What I do like is that the internals are so simple your could make replacement parts with a hacksaw and file if you had to - truly a survivalist rifle. The Henry AR-7 Survival Rifle sights carry on the rugged peep sights from the previous versions and offer windage elevation via drifting the safety orange front sight and elevation via the rear peep sight. I have mixed feelings on the front sight, the color is great, but the sight can be moved with a very hard shove of the finger to change windage. From one perspective this would be handy in a survival situation enabling a tool-less tweak to the sights as needed, on the other it could loose zero after a hard whack on something. Most likely I will Lock-Tite the sight in place once I am happy with the zero’ing. 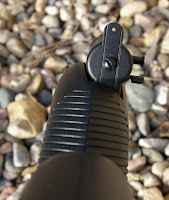 The rear peep sight can be flipped for a small or large peep aperture, however that would require re-zeroing and the large peep would be my preference anyway. 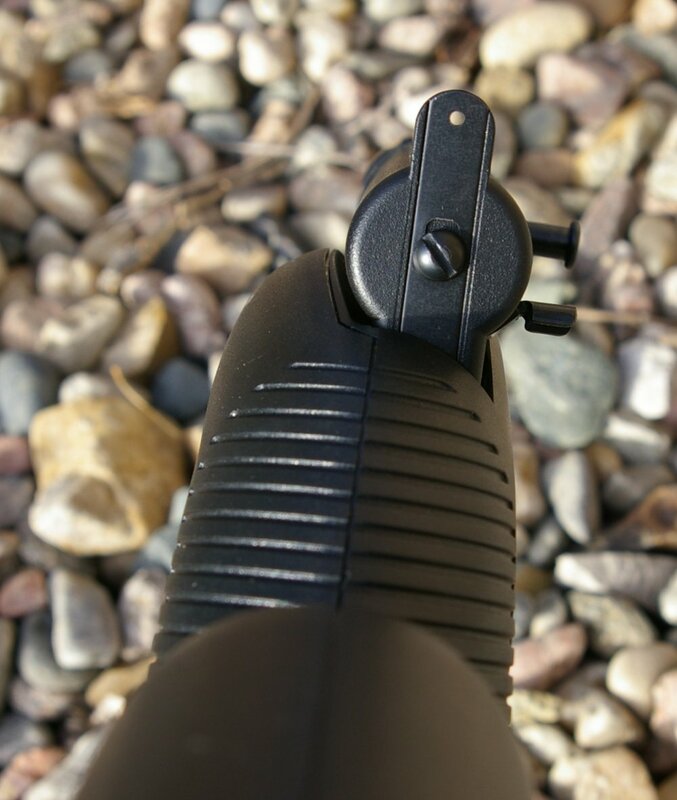 The sights functioned great and picked up naturally by the eye as you shoulder the gun. The receiver does also feature small .22 rails for scope or red-dot mounting, but extra optics would need to find another place for storage in your pack. In a future article I will pop on optics to see how good the accuracy of the new AR-7 can be. Assembly is straight forward. Snap off the stock pad and remove the barrel, magazines, and receiver and snap the pad back on. 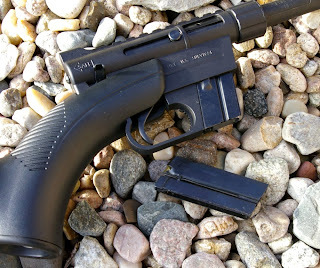 Screw the receiver to the stock via the attached wing-nut on the stock, key in the barrel into the receiver and tighten the threaded locking barrel collar, slip in a magazine, charge the gun by pulling out on the bolt handle, and you are ready to shoot. The question everyone wants to know is whether Henry has finally made a reliable AR-7 so I will go into more detail here than I typically do. The answer is that after break in you will have the reliability you are hoping for with the occasional light hammer strike. It should be noted that I did not have a single failure to feed, stovepipe, or eject. UPDATE - Since the publish of this article, I have continued to have light hammer strikes and on occasion, this has caused a failure to fire. The remedy was as simple as bending the hammer spring's lower legs, which rest on the trigger pins, about 1/2" to increase tension. The result has been Ruger 10/22 level reliability firing and cycling anything I have feed the AR-7. At a recent range visit, a couple hundred rounds proved the reliability of this rifle. 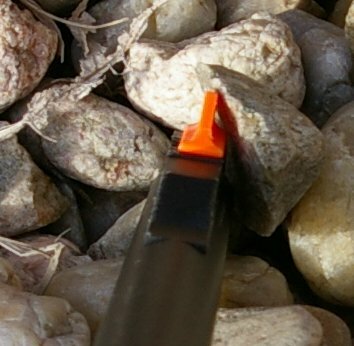 This is a simple fix that anyone with a screwdriver and a little patience can accomplish. Gone are the previously noted issues light hammer strikes with light holds and issues with standard velocity ammo, it feed and shoots everything well now, not just the quality ammo. Originally I thought that un-supported holds were the culprit of light hammer strikes however as it turns out the hammer spring was a little light and can thankfully be tweaked with just pliers. Quality hyper-velocity ammo will produce a highly reliable shooting experience. I tried the CCI Shot Shells, and as CCI states, their .22LR shotshell ammo will not cycle most semi-autos or in this case the AR-7, but from a survival perspective will still go bang and are still very handy for snakes even if they do become a hand feed option. Historically the previous AR-7 version have produced average accuracy with most groups in the 2” range at 25 yards, however the Henry U.S. Survival Ar-7 version seems to have improved those figures. My average 8-shot 25 yards groups produced solid 1.25” groups. I could keep my 1.5” and 2.5” spinner targets going pretty consistently off hand which is accuracy good enough for a survival rifle. I really love this little Henry U.S. Survival AR-7 rifle. 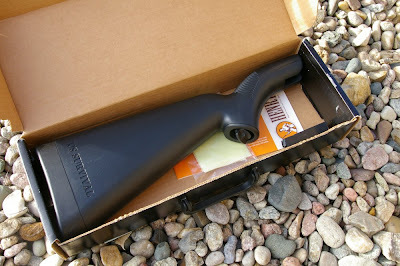 It is not the fanciest, prettiest, or most accurate rifle and after a minor tweak, it consumes any .22LR ammo reliably. That said it performs the task of a dependable, packable, and light weight take-down rifle like no other rifle on the market and is plenty durable, accurate and totally reliable with the right ammo in stock state. It’s also a fun gun to pull out at the range, because EVERYONE will have questions about it. It is so incredibly light that it will definitely become a permanent part of your hiking, trunk, camping and bug out pack. Assuming you feed it good ammo, it could even take the place of a dedicated 22LR rifle. For around $200 this is an inexpensive, unique, fun, and handy rifle to have around which it sure to provide you with a rifle when the need arises. Congratulations Henry I think you have broken the cycle of the AR-7 and restored the honor of the Stoner AR-7 with your updated version of Henry U.S. 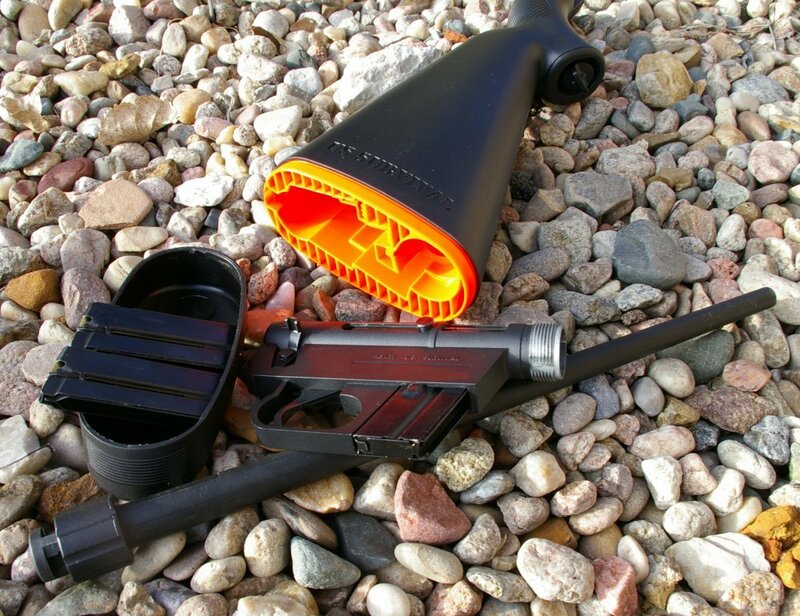 Survival AR-7 Survival Rifle.